Routers are really helpful devices these days. Every device which you can use to access internet is getting ultra-portable and smarter. Now they hardly have any wires so you don’t need to be bound to a particular area. But if you want to freely move with your portable smart device and your device does not have a 3G internet capability, then what do you do? Simple, you need Wi-Fi access point setup in your own premises. It can be a home or office, or maybe your business spot. If you are looking to improve the quality of your internet, then changing or upgrading the speed of your internet connection might help. But this is not the only factor when it comes to internet, you may need good routers as well. And if you want mobility, then nothing is a better choice than wireless routers. But choosing the right device is confusing. Router is a very common appliance so there’s a huge range of products in the market situated in different price ranges. How do you understand how much you may need to pay? Unless you are very expert in this stuff and up to date with the trending technologies and market, it’s hard to find out. Specially, the home users are usually the simplest users – they always want hassle free solution, but the best one for a low price. Hence is the confusion – that is why we felt like helping you people with some routers, what we think are bests. Among these all, some has technologies to make them the fastest outrights. They may provide you the fastest services but not the latest technologies that a router should offer. While some costly ones would provide everything but cost higher as well. If you want advanced technologies like Powerline networking, NAS functionality provided by extra USB ports etc. then you may have to go with the higher priced ones like Asus Dark Knight. The Wireless modem with two antennas almost gave it a look like a buffalo is the Best Wireless Modem Router. However, this device might not be like the rest crowd out there in the market, but that same term goes with its power. It packs a hell lot of power inside unlike others. If you are a light internet user, then you should not buy this device only for net surfing, emailing etc. stuff because you will simply waste resources. 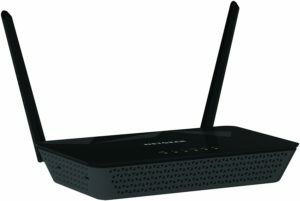 Many devices can connect to this router without any interference as the device creates bands for them. You get VPN as well, and you might not wonder having a BitTorrent support but yes it comes with that support. There are Ethernet ports and QoS for bandwidth management. It’s a dual band router and it is ADSL2+ compatible. Comes with features like Gigabit Ethernet, WAN port and two USB ports, NAS, DLNA Streaming Server, ability to store multiple SSIDs…and much other stuff! Definitely a high end device and this is one Best Wireless Modem Router performing device in the market. You don’t get a bunch of features from this device in this price range, but you do get Gigabit Ethernet ports, 4 of them and a WAN modem port where you connect your modem. It doesn’t have a modem, which means you have to connect your modem alongside this device. It’s not the best showstopper, but you get excellent performance whatsoever. Now it’s up to you to decide for selecting Best Wireless Modem Router.